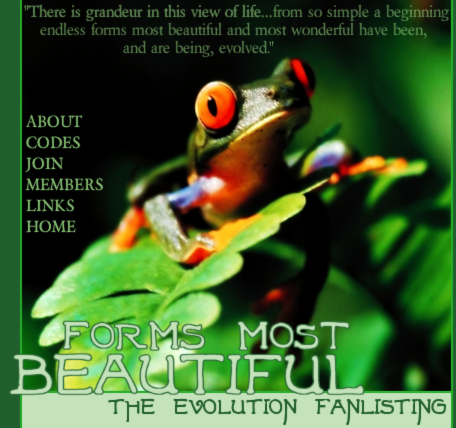 Welcome to the fanlisting for the natural process of evolution. The topic of evolution has caused much debate between people of different beliefs. You will find much information regarding the process of evolution online, in text books, in scholarly articles, and much information you can find using your laptop deals with this topic. There is so much information out there, that you need only to do a simple online search on evolution, and carefully sift through the results to find scientific evidence of this phenomenon. Not every item you come across online is backed by scientific evidence, as there are many who choose to discount evolution because it interferes with their religious beliefs, so you should be cautious with what information you take as being factual. For more about this fanlisting and why it was created, please visit the "about" section. Please excuse the ad links on this page.